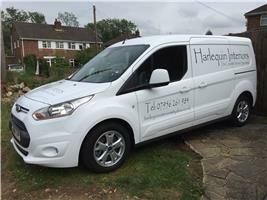 Harlequin Interiors is a family run business, established for more than 25 years. We can provide a design, planning and installation service, offering you a professional and reliable approach with full attention to detail to meet with all your specifications and requirements. Our Project Manager will be there from the first consultation, during the works until the completion of the project, with communication being our main priority.